Please Take Note: This is a review of the game’s final prototype. The art, game bits, and the rules discussed are all subject to change. The game is being reviewed on the components and the rules provided with the understanding that “what you see is not what you might get” when the game is published. If you like what you read and want to learn more, we encourage you to visit the Kickstarter project page. Now that we have all that disclaimer junk out of the way, on with the review! And just like that, the Heroes were gone. When the smoke cleared, all that remained was a pile of ash, a helmet or two, and the toothy grin of the dragon. The Hirelings stood there in shock and horror. Nowhere in the “Hirelings Helpful Guide of How To (3.52 Edition)” is there any mention of how to handle this type of situation. The dragon locks its yellow eyes on the Hirelings and the answer to what should be done next is as clear as a summer day. RUN!!! Hirelings: The Ascent, by Prolific Games, is comprised of 1 game board, 6 Hirelings (used as pawns in the game), 2 six-sided dice, 2 eight-sided dice, 54 Item cards, and 1 Flaming Fireball of Doom pawn. As this review is based on the game’s final prototype, we will not comment on the game’s component quality. We will state, however, that the proposed artwork and direction the game is heading in is simply outstanding. 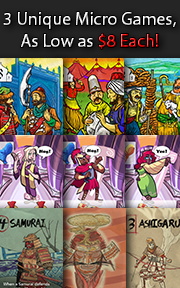 To set up the game, place the game board in the middle of the playing area and have each player select a Hireling. All Hirelings are placed on the START area on the game board, which is the dragon’s lair. Shuffle the Item deck and deal each player 8 cards, face-down. The players should not look at their cards, but should take the stack of cards and place it in front of them. An additional Item card for every player is dealt, face-down, and placed by the treasure space on the game board. For example, if playing with 3 players, 3 Item cards are dealt and placed, face-down, by the treasure space. The rest of the Item cards are removed for the duration of the game, presumably destroyed with the Heroes. Each player will have a single turn and then the next player, going clockwise, will go. On the player’s turn, the very first thing they will do is decide if they want to use one of their Item cards. Keep in mind that there are no more cards in the game, meaning each card is an exceedingly limited resource, but they won’t do the Hireling much good if they are a pile of bones, either. If the player does choose to use a card, they flip over the top Item card on their stack and place it in front of them. The card will either grant the player a bonus to movement or a bonus to evade a monster. If the card gives the player a bonus to their movement, it will be used on this turn. 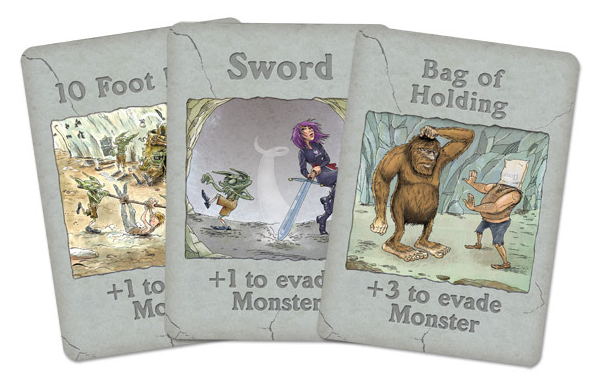 If the card gives the player a bonus to evading a monster, the card is kept in front of the player until they encounter a wandering monster on the game board. Now the player takes a six-sided die and rolls it. The value rolled is the number of spaces the Hireling can move this turn. If the player has a bonus to their movement card, the bonus value is added to the die value rolled and then discarded. Note that Hirelings always move towards the exit, which is to say, up and out of the dragon’s lair. Nothing here! The Hireling moves to the next space as long as they still have movement left. If the player ends their movement on the same space as another opponent’s Hireling that does not also contain a monster, they can take the top card from that opponent’s stack, but only if the player whose turn it is does not have a card played in front of them. This card is now placed in front of the player who stole it. Thanks for the very useful item, friend! As soon as a player’s Hireling lands on a space with a monster, and if they still have movement left, movement temporarily stops. The player must now attempt to avoid the encounter by evading the monster. This is done by rolling an eight-sided die. The space the monster occupies will have a number value. The player is attempting to roll equal to or higher than that number value. If they do so, they move on using whatever movement they have left. Failure to roll a number higher than or equal to the one listed, results in the player ending their turn, regardless of how much movement they have left. If a player has a bonus to evade monsters, the bonus value is added to the die value and then discarded, successful or not. If the player’s Hireling is unfortunate enough to stop their movement on the same space as a monster, the player must now attempt to avoid the encounter by evading the monster. This is done by rolling an eight-sided die. The space the monster occupies will have a number value. The player is attempting to roll equal to or higher than that number value. If they do so, they roll the six-sided die again and continue to move on using the new rolled value. Failure to roll a number higher than or equal to the one listed, results in the player ending their turn. If a player has a bonus to evade monsters, the bonus value is added to the die value and then discarded. There are a small number of special rooms the Hirelings will have to go through to reach the surface. The special rooms are treated just like a monster space and can be evaded, but each room has additional rules that must be followed. For example, the “Orc Jail and Knitting Parlor” will require the players to roll an “8” or higher to evade laboring away at knitting. If they do, they get to move on. If they fail, the player’s next turn requires them to either attempt to sneak out the not-so-secret door with a roll of “5” or higher on an eight-sided die, or simply just leave through the secret door (Orcs are not that bright). Like most dragon lairs, there are optimal and sub-optimal paths to take to reach a player’s destination (dragons are contractually obligated to build so many “twists” and a limited number of “turns” in their homes). The players will get to decide which paths to take and should always consider taking the shortest path, as this is a race to the finish! Along the way, there are two secret routes (well, not “secret”, as they are clearly marked on the map) that a player’s Hireling can take. The first will lead to a treasure chest. If the player’s Hireling passes through or lands on the treasure chest space, they take the top card off the stack that is next to it and add it to the top of their own stack of Item cards without looking at it. You’d think that a Hireling would feel bogged down by the extra weight, but they feel the most comfortable when carrying gear. The second route is a shortcut that will lead the Hirelings to a Sasquatch. If the player’s evade the hairy beast, they can continue and get up and out very quickly by taking a nice shortcut. If they fail, however, they must turn around and go the other way. Suddenly, the shortcut becomes a very lengthy detour. This is the only time where backtracking is possible and necessary as the Sasquatch is a terribly unreasonable fellow who is not willing to budge. The first player out of the dragon’s lair wins the game, immediately questions their career choice, and goes to work at an inn washing dishes. Not as glamorous, but a heck of a lot safer. Mother would be so proud. Feel free to celebrate with cookies and milk while the rest of your companions get eaten in the darkness of the dragon’s lair. If the players are looking for a more challenging experience, the Flaming Fireball of Doom can be used. This is a giant fireball that chases the players throughout the game on a set path through the dragon’s lair. The Fireball will, as expected, burn the Hirelings to nothing more than a sad pile of ash. However, the dragon who lives in the lair is happy to give the Hirelings a head start of 4 rounds before he blasts them all to a crisp. Dragons are good sports, if nothing else. Located in the START space is a Fireball Track. The Fireball pawn is placed on the “1”. At the end of the first round, the Fireball pawn is placed on the “2”, and so on. At the end of the 4th round, the Fireball pawn enters the START area. From now on, at the end of a round after all the players have completed their turn, the six-sided die is rolled and the Fireball pawn is moved that many spaces. The Fireball does not stop for monster or special rooms and always follows a set route (indicated by a small symbol of a fireball on the game board). The Fireball will continue to make its way to the surface and any Hireling caught behind the Fireball are instantly burnt to nothingness. If a Fireball is about to hit a player’s Hireling, they can discard their top Item card from their stack to keep one space in front of it, giving them a turn to run like crazy. Of course, if the player does not have any cards, they are instantly toasted. To learn more about Hirelings: The Ascent, see the Kickstarter project page. Let’s be frank. Hirelings is Candy Land if Candy Land was set in a classic fantasy role-playing world. I have no doubt it will highly amuse the little geeks, be a welcomed game by the Parent Geeks at their family gaming table, and avoided by the Gamer Geeks (but secretly loved because of the game’s theme and illustrations). Game elitists can smell a roll-n-move game a good 100 feet away and seldom approach it to get a better view, meaning Hirelings will never have a chance with them. But, lucky me, I have test groups full of gamer elitists who are always willing to give games a try. Keeping in mind that Hirelings: The Ascent was purposely designed with little geeks and families in mind, I made it clear to everyone that the level criticism for this game should be focused on ease of game play, theme, fun factor for our little geeks, and family interaction. Gamer Geeks groaned, Parent Geeks smiled, and the Child Geeks clapped enthusiastically. Just by reading the body language from my test groups, it is easy to predict how the wind will blow for this game. Teaching the game takes less time than it took you to read this far. This is, again, a roll-n-move game. The level of decision making is low and the players need only continue to work to be the first player to leave the dragon’s lair. The only question I was always asked was if there is any benefit to keeping the Item cards until the end of the game. Players assumed that the goal was to leave the dragon’s lair with as much loot as possible. I would correct them and state that the goal is to be the first one out and alive. How they do that, using any or all of their Item cards, was up to them, but there was no additional endgame benefit for leaving with cards not played. After demonstrating several of the Item cards, I reset the game to play with my family and asked my little geeks their thoughts on the game so far based on what they had learned. The little geek Hirelings are ready to run like there is no tomorrow! Let’s start this race and see if the finish line was worth the effort or this was a hapless adventure. This game is exactly what it said it was going to be: a fun family game for the gamer family. There is so much tongue in cheek and tips of the hat to classic fantasy role-playing games that it was like playing on a board built on nostalgia. It was a great deal of fun to explain the inside jokes each of the Item cards was portraying and hearing my little geeks laugh. And laugh they did, but also groan. The rolls of the dice can feel horribly unfair when you keep rolling low numbers and you see everyone else in front of you getting further and further ahead. This is where the Item cards come into play and will make all the difference. However, even these are random, resulting in a player simply not knowing what to expect until they roll. My little geeks and I played the game with and without the Flaming Fireball of Doom. Without the Fireball, the game is little more than Candy Land with an old school Dungeons & Dragons feel. There is no risk or reward and the only choices the players need to make is if they want to use an Item card or not. Since there is no bonus or benefit from hording an Item card, it is always a good idea to play one out in front. The players then just take turns and work their way up and out of the dragon’s lair. Introducing the Fireball adds a much needed element of danger and risk to the game, and we cannot recommend enough that it be always used unless playing with very young little geeks who are just now learning games. With the Fireball at your back and filling up everything in the lair with fire, the game becomes a frantic race and all the players are crawling over each other to get out. There is suddenly a real danger of getting toasted if you don’t move your Hireling fast enough. Whether to play or not to play an Item card is still not a terribly hard choice to make (heck, yes, play those cards) but they become much more valuable, making it a very worthwhile move to steal some from an unwary opponent as they can be discarded to give the Hireling a temporary reprieve from certain flaming death. By the time our games with the Fireball were done, the little geeks were greatly pleased with the uptick and excitement in the game play. For the first time in recorded history, it was good to play with fire at the kitchen table. Parent Geeks enjoyed the game as a family game. Hirelings: The Ascent is exceedingly light (to a point where it might be necessary to put something heavy on the game board corners so it doesn’t blow away in the wind) and can be played with very little effort and focus. This makes the game a stress free and fun affair. Throw in a fireball and everyone is now excited at the table, sharing in the joys of being chased by a bloody huge ball of flame. As silly as it sounds, the game works and works well on the family gaming table. Non-gamers got behind this game in a big way and had a great time with everyone at the table, although they had no idea what all this talk of dragons, lairs, and 10-foot pole nonsense was all about. Gamer Geeks had two comments about the game after I demonstrated it to them. First, they all applauded the artwork and gave the use of classic fantasy role-playing as the background a very enthusiastic two thumbs up. Second, they unanimously agreed that this was a game they’d never play unless they were sitting at a table with a little geek who really, really, really wanted to play it. Gamer Geeks, this is a very light, roll-n-move game that will immediately have you comparing it to Candy Land wearing a Helm of Protection +3. The only thing this game has going for it, from your elitist and experienced perspective, is the love it shows traditional old school fantasy role-playing games. This is not enough to make it a game you’ll want to play at your game nights, but it will make it more than tolerable to play with your little geeks and family. We HIGHLY suggest you ALWAYS play with the Fireball as it adds a much needed level of energy to the game play experience. Parent Geeks, if you have ever role-played and spent any time leveling a character in the world of Dungeons & Dragons or any other generic fantasy themed world, you’ll be very pleased with all the fantasy RPG references included on the game components. It is clear that the game developers and artists enjoyed their time creating this game and it shows. The Hirelings are total misfits and the artwork portrays this nicely. The game plays fast and is easy on all the players who are at the table. 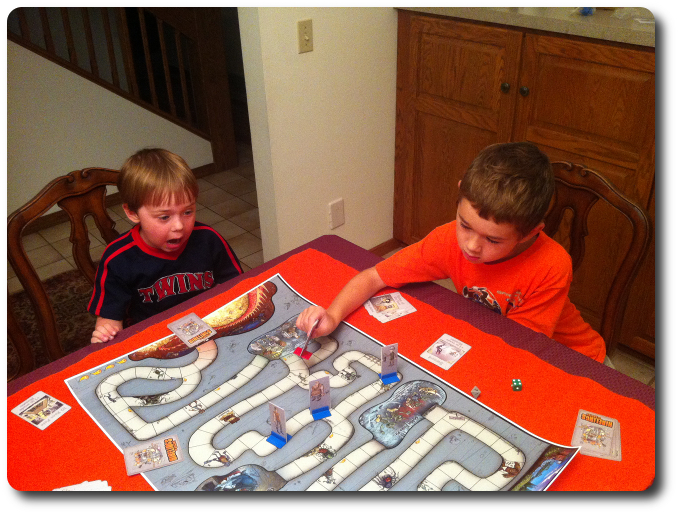 If you are playing with very little geeks, we suggest you remove the Fireball until they get used to the game. Reading the Item cards to little geeks who have not yet learned how to read will not break or reduces their level of fun. Child Geeks, this is a fast and fun game that only asks you to do one thing: RUN!!! This game is a race and your only goal is to get out of the dragon’s lair as quickly as possible. When you first play, and if you do not use the Fireball, you should spend the time looking at the game board and finding the fastest way out. Once the Fireball is let loose, you’ll be prepared and run like an Olympic athlete as your heals get singed from the dragon fire. Regardless if your Hireling gets burned or not, we know you’ll have a good time. Hirelings: The Ascent is a very simple game and doesn’t pretend to be something it is not. 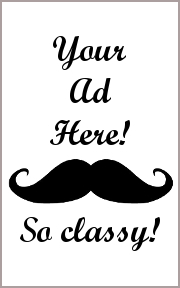 To it’s benefit, it is being leveraged and promoted as a family game. It kicks it up a notch by making sure the entire feel of the game, while simple, is thickly dripping with old school fantasy role-playing thematic elements. This will draw in the Parent Geeks and Gamer Geeks who are familiar with these settings and looking for a simple game to play with the family built around a theme they enjoy. Personally, I wanted more from this game. First of all, the players will quickly learn the best (that is, the fastest) path to take and never deviate. This removes any sense of exploration and the game board might as well just be a straight line where the Hirelings travel from point A to point B. There is no need for choice because the best answer is always the shortest path. Second, I didn’t care for the lack of incentive to keep the Item cards. While useful in the game, I wanted there to be a reward to the players who could make it out of the dragon’s lair without using them. This would give the players the choice to use Item cards for short-term gains or to use none for a big endgame ticker-tap parade, but only if they made it out in time. But these are the opinions of a Gamer Geek elitist, who are clearly not the target market. The Child Geeks cannot get enough of this game and want to play it constantly. It continues to amuse them and the Parent Geeks who are lucky enough to play it with them. All things being equal, and taking into account the game’s intent and intended audience, Hirelings: The Ascent is a success. It certainly is with my family who now enjoy quick runs through a dragon’s lair on a regular basis. 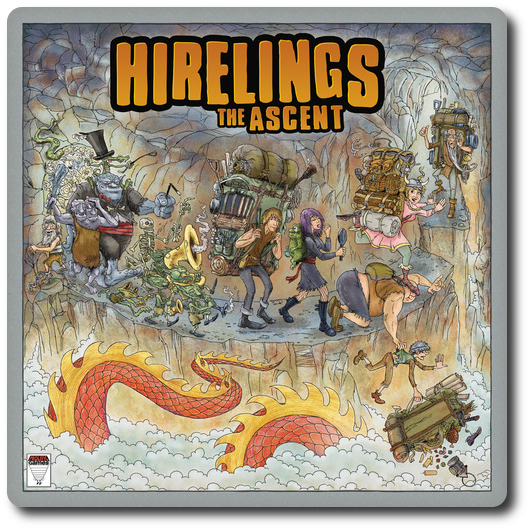 If you are a family of geeks with little geeks, Hirelings: The Ascent is going to be welcomed and loved at your gaming table. Tagged Parent Geek Approved, Prepublished Games. Bookmark the permalink.